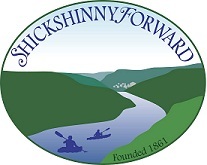 Shickshinny welcomes all to live, work, and play in a safe, vibrant, attractive River Town community and area hub of recreation, culture, business and community activity. The annual Business Association of Greater Shickshinny fall mixer is 630PM on Saturday, October 1 at the Shickshinny Fire Hall. To purchase a ticket for the event, please contact Jim Bach (egsfurn@ptd.net). This is always a wonderful reunion of business owners, community members, volunteers, borough council and additional government representatives. Hope to see you there!